Diamond Inserts| BW Project Case | End Mills ,tool,carbide,Cutting tool& Drill-Bewise Inc. is a professional cutting tool manufacturer. Specification：Custom made according to your request. Characteristics：There are hundreds of cutters designed for alloy wheels. 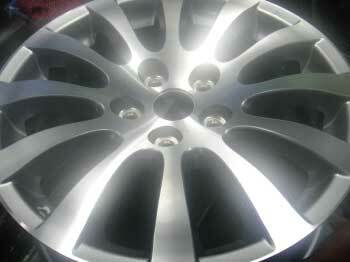 Various cutters specialized for different type of wheels are well-designed. Regarding the pin hole problem of c asting which happens in diameter under 1mm, it may be improved by using PCD cutters. We can make special size (custom made) PCD inserts according to changeable types of wheels.PCD is kind of polycrystal material made by carborundum powder with solvent under high temperature and pressure. The hardness (around HV6000) is lower than natural carborundum. Comparing PCD cutter with carbide cutter, its hardness is triple – quadruple higher; wear resistance and tool life is 50 -100 times higher; promoting cutting speed 5 -20 times; roughness may reach Ra0.05μm. 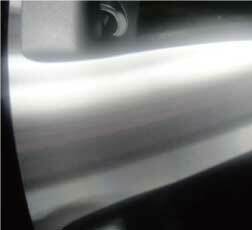 PCD cutter brings high cutting efficiency and stable accuracy. Polycrystalline diamond (PCD) complex material is made by mixing fine diamond particles of micron grade, Co, Ni, and other metal powder under high pressure and high temperature, which is a new advanced cutter material sintered on WC substrate. There are many superior benefits of PCD complex, not only high hardness, wear resistance, thermal conductivity, low friction, low thermal expansion, but also with excellent strength and toughness. It has conductivity, so it can be cut by wire electrical discharging machine into required cutting edge. Then we weld the blade on the cutter body and grind it into PCD cutter.